Open Farm, a Canadian pet food company, recently introduced its Certified Humane dry cat food in the US market. To be certified humane, food must come from farms where animals can express such natural behaviors as flapping wings and moving around freely in their environments. They must also live free of cages and gestation crates and be raised without antibiotics, growth hormones and animal by-products. 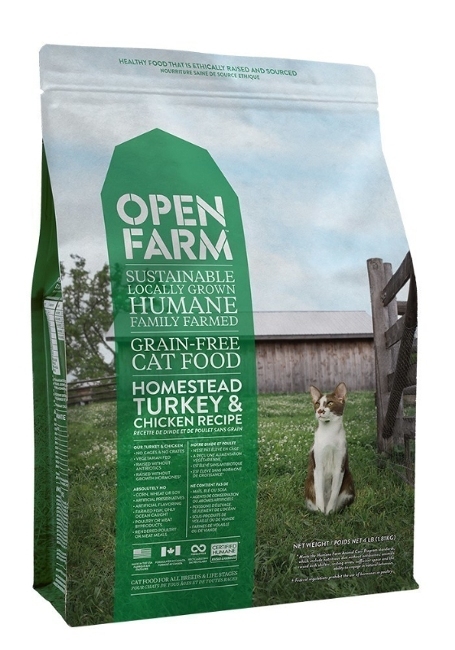 To find out where to buy Open Farm cat food in the US, visit Certified Humane's Where to Shop page.